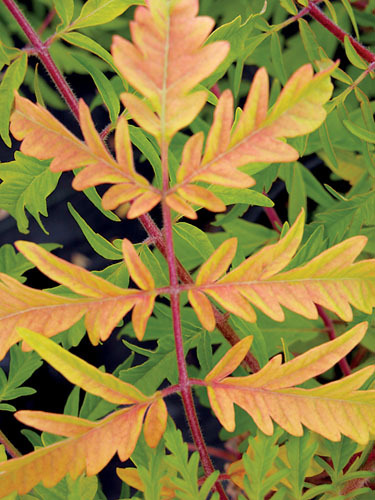 Rhus typhina ‘Bailtiger’ | J.C. Bakker & Sons Ltd.
Beautiful new golden-leafed introduction. New leaves are at first chartreuse, then change to yellow, carried atop fuzzy stems of rose-. Vivid yellow, orange and scarlet fall colour. SKU: 34700251. Categories: First Editions, Shrubs. Tags: Bailtiger, Cutleaf, First Editions, Rhus, Staghorn, Sumac, Tiger Eyes, typhina.